The dining area, ambiance and setting at any resort or hotel plays a very important part in stimulating those hunger pangs when you are up for or back from a jungle safari in Ranthambhore or any other park safari. 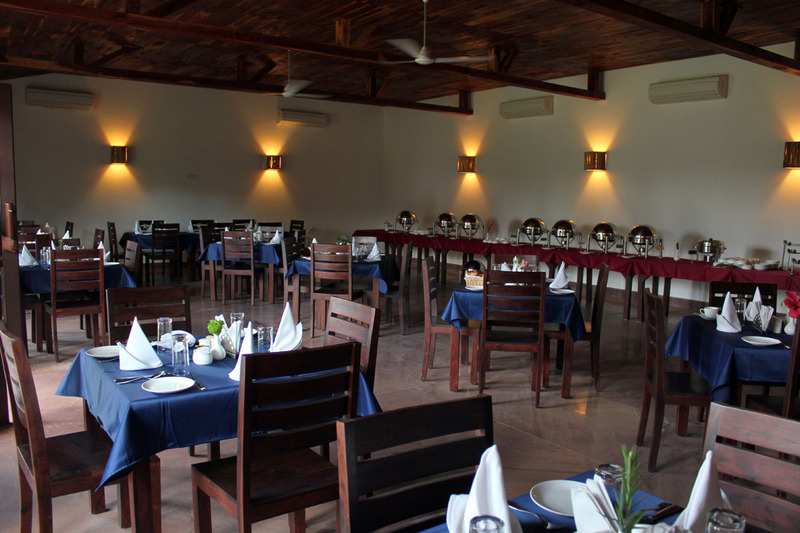 At Ranthambhore Kothi, apart from other luxuries and facilities, we have given special attention to the dining facilities for our guests’ delight. With the capacity of catering to more than 200 persons, our main courtyard is an elegant area for the delightful dining and party experiences. The dining hall interiored with wooden false ceiling and refreshing garden views serve the succulent cuisines from the kitchens of Rajasthan and beyond. The use of earthen pots resourced from the local artisans and potters give a succulent and aromatic taste to our cuisines. At our “Pool Side Bar” guests can enjoy tantalizing wines and spirits with luscious snacks. 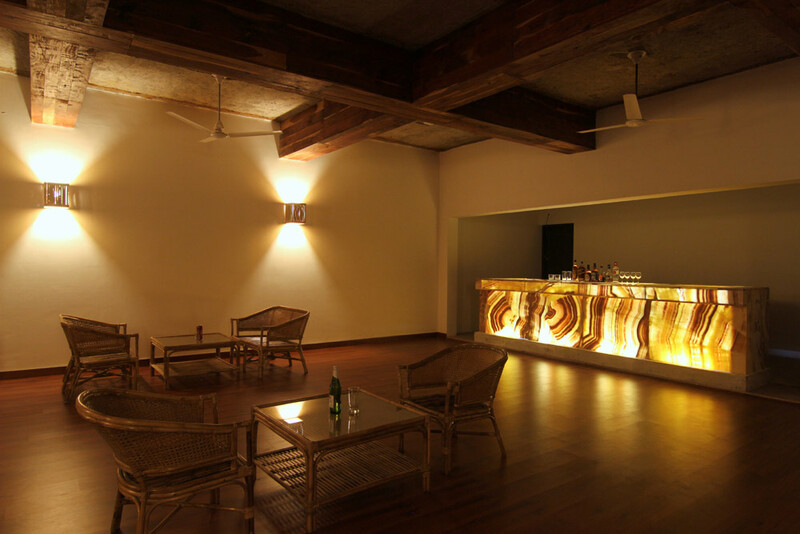 Tiger Onyx Stone bar counter, wooden furniture, dimming lights, sound of fresh water and the calming fragrance of lotus flowers from the pond adds up to the luxury of Bar. These aesthetically designed services offer you an unforgettable experience to cherish beyond times. 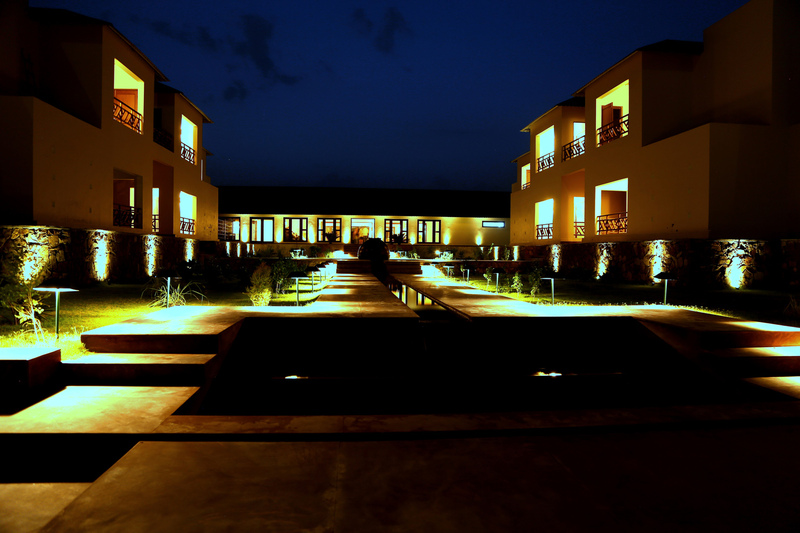 Savour the aromatic flavors of Rajasthan and beyond at the delightful ambiances and settings of Ranthambhore Kothi. There are many interesting spots for you to see in Ranthambhore National Park.The Ranthambhore National Park is regarded as the most suitable place for wildlife photography in the world. Here you can capture the tiger in its various moods and moments. Besides the Ranthambhore Park, there are places like the Ranthambhore Fort (one of its kind in the entire state of Rajasthan) and the various species of flora and fauna, which are also worth a look. 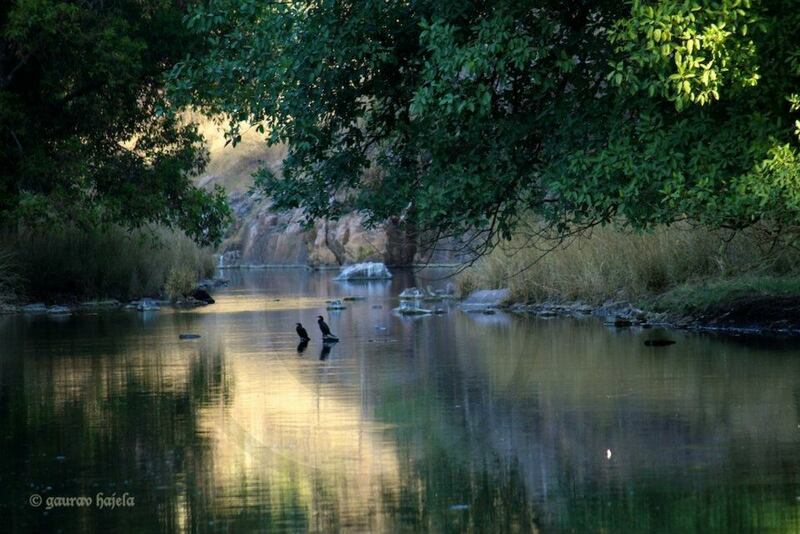 Some of the important places in and around Ranthambhore National Park are…. Bakuala: National Park Ranthambhore is covered with thick forest over a large part of its area. One of the thickly forested regions is called the Bakaula region. Bakaula consists of dense forest, with many small pools and water holes in clearings in the vegetation. Because of the excellent forest cover and availability of water, the Bakaula region in National Park Ranthambhore has an abundance of wildlife. Tigresses with young cubs are often seen near the water holes in Bakaula, since the dense forest provides cool hides for a tigress and her young. The thick vegetation also retains moisture in the air and lowers the temperature of this area. Bakaula is one of the coolest regions of National Park Ranthambhore, where many birds can be seen in the trees and small animals like squirrels and monkeys scamper through the forest. 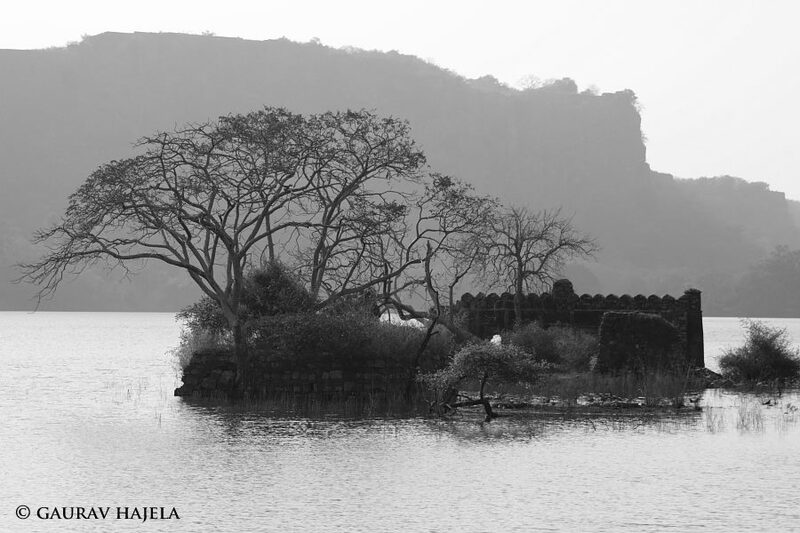 Bakaula is one of the many interesting places to see in National Park Ranthambhore. Kachida Valley: This valley, which consists of many rocky outcrops and low hills, is located close to the outskirts of the park. A jeep would be the ideal mode of transport when trying to visit this area. This area contains a majority of the Panther population of the park. The panthers avoid venturing into the main jungle to avoid conflicts with tigers, which are known to kill them. This area also has a good population of Sloth bears. Lakarda Anantpura: These areas located in the North-Western and Northern regions of the park are ideal locations to visit if looking for Sloth Bears. These areas have a lot of ant hills, which are a favourite of the beers. Although very rarely seen themselves, the pugmarks of the Indian striped Hyenas are often seen here. Their numbers are not very large in the park. Raj Bagh Ruins: These ruins are located between the Padam Talao (lake) and the Raj Bagh Talao. These ancient stone structures like arches, palace outhouses, domes and steps give the area an aura that is not possible to find anywhere else in the world. Especially if you include the jungle surroundings and are one of the lucky few who come across one of the resident tigers. These ruins are what give the Ranthambhore National Park such a unique mixture of a wildlife reserve and a reminder of the past, which together make it one of the most picturesque parks in the entire world. Ranthambhore Fort: This fort stands majestically atop a hill overlooking the entire park. The walk up, one of the only places this mode of transport is possible, is a very refreshing and exciting one as even the big cats have been spotted up there! 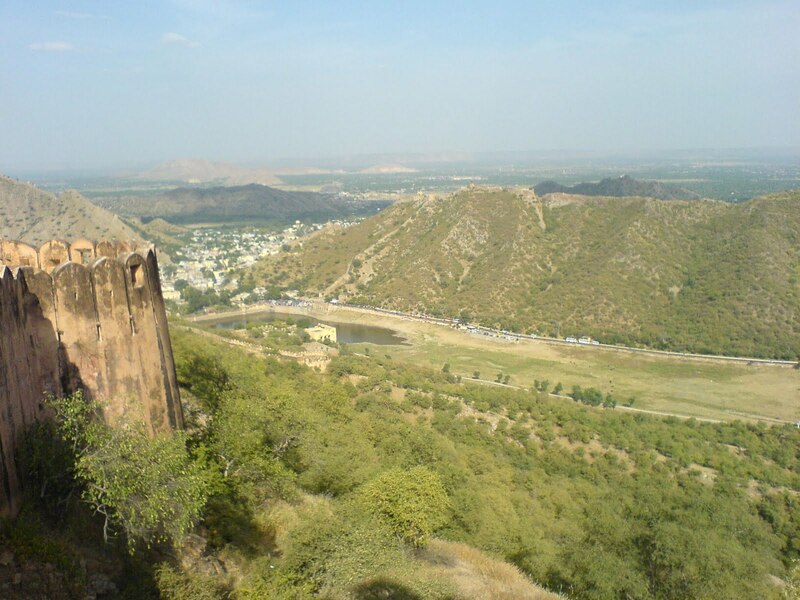 The view of the surrounding keeps getting better and better as you go up but the view from the fort itself can only be described as breathtaking. It is advisable to take along a good pair of binoculars and if possible a camera with a very powerful lens when visiting the fort. 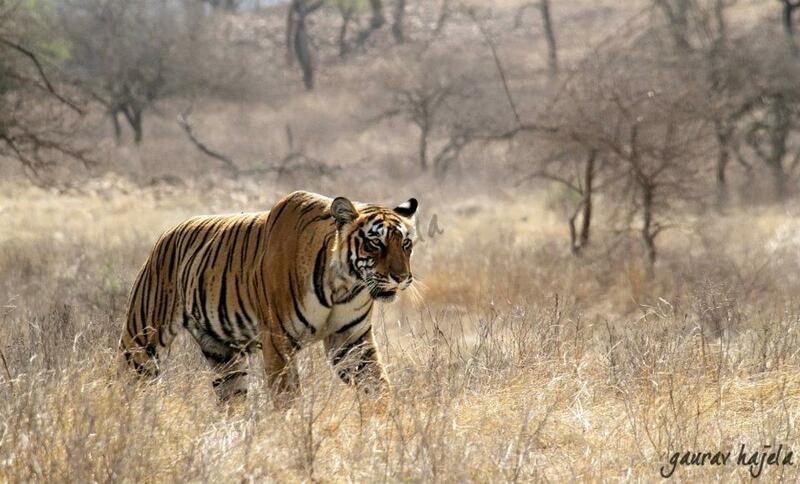 Follow our next blog to know more places to visit on your trip to Ranthambhore!! 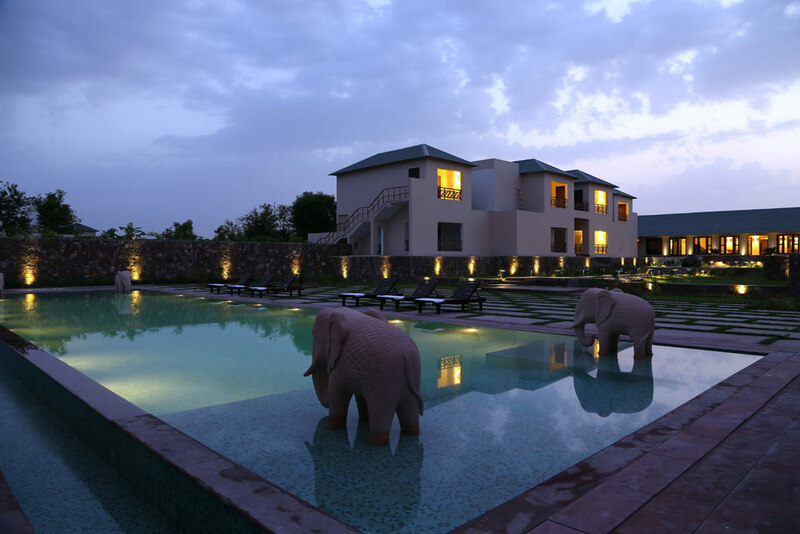 For a delightful stay nearest to the Ranthambhore National Park you can visit Ranthambhore Kothi. Address: Ranthambhore Kothi, near helipad, village khilchipur, sawaimadhopur. 322001.